We will love, serve and restore hope to children and families facing trials and traumas of life by meeting physical, emotional and spiritual needs. We will accomplish this by providing a Christian home of Refuge, Restoration and Renewal. The first part of our mission is to provide homeless families in Kansas City with hope, restoration and an opportunity to have a fresh start. In the Firehouse, we have two apartments for use for families who have been struggling financially. We are also transitioning our building to house young adults,18-24, aging out of the foster care system. Secondly, we want to reach out to the people in our community. In order to do this, we spend time outside playing with the children, working in our gardens, building relationships and looking for opportunities to serve and meet the needs of the families in our neighborhood. We also sponsor several different types of programs weekly and quarterly to help meet those needs. Finally, our hope is to open On Eagles Wings Farm, where we will provide housing, give stability, support, counsel, care, and a loving Christian family environment to orphans, foster, at-risk children, and their families. 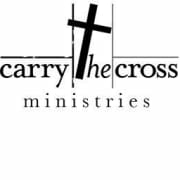 Would you recommend CARRY THE CROSS MINISTRIES?